This paper presents the latest results with regard to the design of service robots and interfaces for human-robot interaction in recent empirical research projects. Focus is on establishing services for health care, nursing homes, rehabilitation and homely aftercare in respect of the demands coinciding with demographic change. 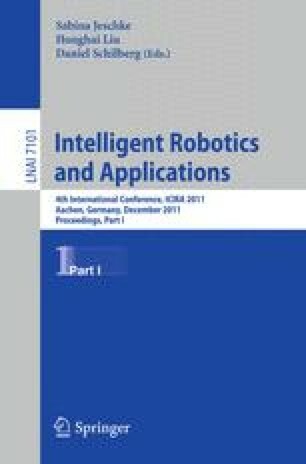 Within several user studies and clinical trials relevant application scenarios, arrangement of working spaces and the stature layout of robots were elicited and their influence on intuitive understanding and technical acceptance investigated. Additionally the implementation of information input with help of swabbing movements on touch screens for people suffering from hand tremor was accomplished, considering the specific requirements and computer literacy of the prospective users.